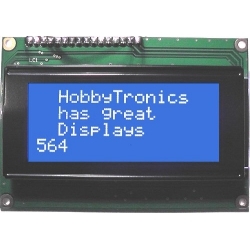 A 16 x 4 character LCD display with white text on a vivid blue backlit LCD. 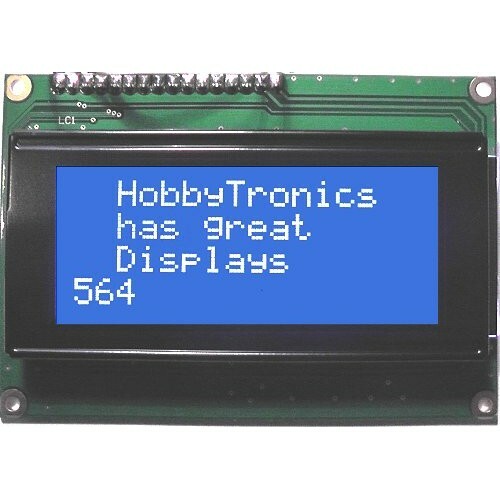 The pictures don't do justice to the bright blue background with clear white text of this display. 4 lines of 16 characters.